← 587 "Love Is in the N2-O2-Ar-CO2-Ne-He-CH4"
The Simpsons family dressed as rugby players reunites at the center and get in position, Homer tries to sneak Maggie in as a rugby ball but goes over the couch and smashes the wall where he finds the tv remote. Mr. Sparkle's box flies around the screen. 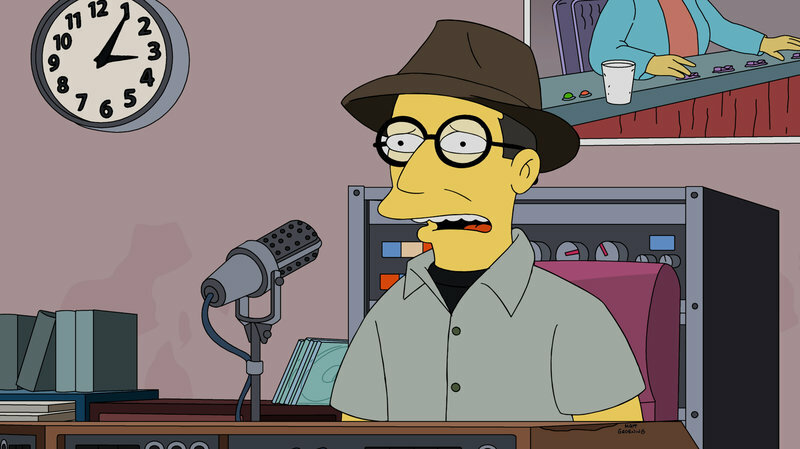 "Gal of Constant Sorrow" is the 14th episode of season 27 episode. 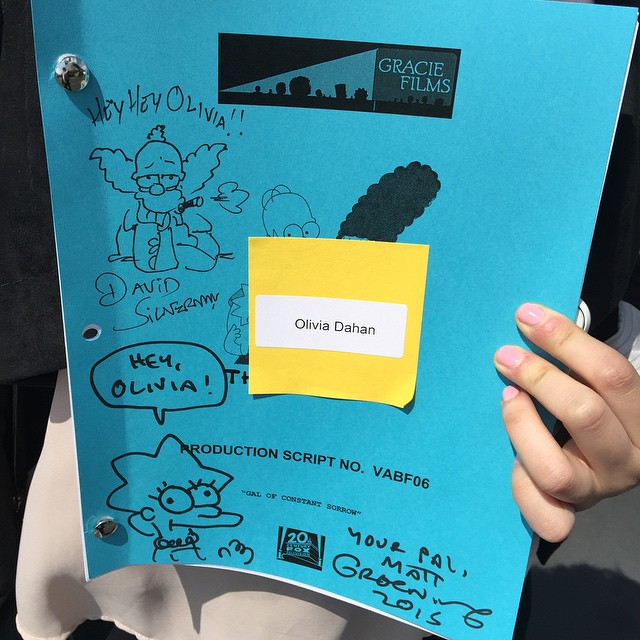 It aired on February 21, 2016. "After Bart accidentally sends a sweet homeless woman’s cart into the river, he allows her to live in his closet for a small fee. When Lisa discovers that the woman is an incredible folk singer, she offers her own closet and plans a concert, only to be disappointed by Hettie’s surprising substance abuse and violent nature. Meanwhile Homer tries to prove he’s handy, but accidentally traps the cat in the walls of the house." During breakfast, Marge discovers a loose tile on the floor and says that she'll have to call a handyman. Homer gets the hint that he's not handy and decides to replace the tile himself. He succeeds with the help of an online tutorial, but soon realizes that he has trapped Snowball inside the floor. Meanwhile, Bart is participating in a sled race, but Milhouse is slowing them down because he's scared. Bart knocks Milhouse off and then loses control of the sled and hits Hettie's shopping cart, throwing it and all her things on a frozen river. Feeling guilty, he invites Hettie to the Simpsons' house. 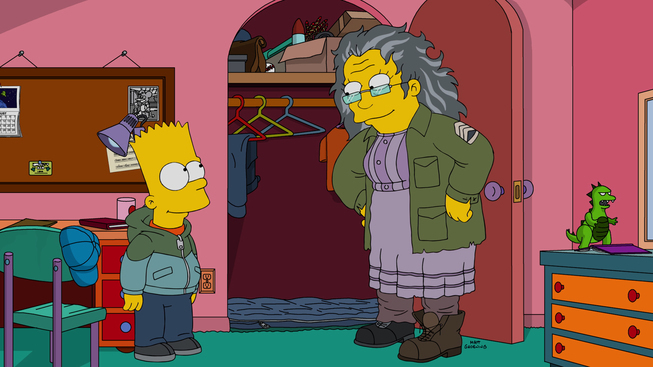 Bart feels uncomfortable letting Hettie stay for an extended period of time, fearing that his parents might find out, so she decides to give Bart one dollar per day as rent to incentivize him. Lisa soon discovers Bart's suspicious income and his immoral scheme, but Bart convinces her not to tell Marge because if she does so, Hettie will get kicked out of the house. They also discover Hettie's incredible talent for music, so Lisa invites her to stay in her closet rent free. 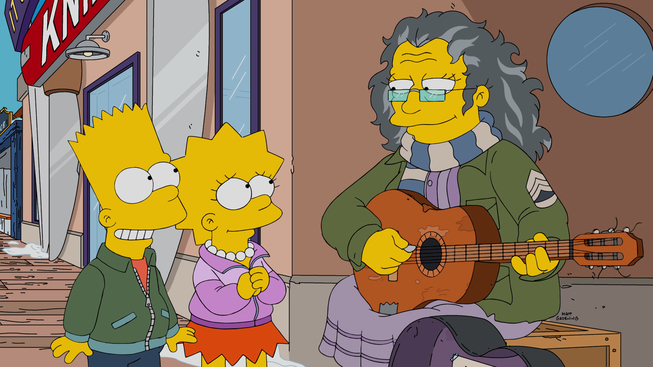 During the recording of one of her songs, Bart warns Lisa that she shouldn't be doing that, because if Hettie lets her down, Lisa will be crushed by the realization that she can't save everyone. Meanwhile, Homer manages to free the cat from the walls, but in doing so traps Santa's Little Helper inside. 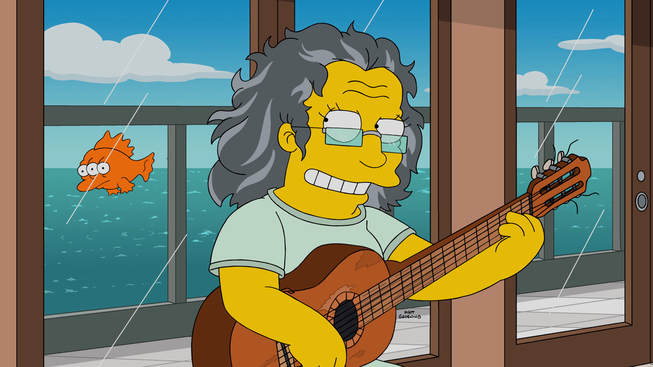 Later, Lisa showcases the song to Mr. Largo. He initially resists helping her, saying he's come to hate music. Predicting her dreams would be crushed the following year by the other teacher, Mrs. Ortner, he gives in to her badgering and agrees to help. Lisa then contacts Mayor Quimby and Krusty the Clown, and manages to arrange a concert and a radio interview for Hettie. However, during the interview, Hettie reveals that she's a drug addict. Lisa is shocked to find out that someone she admires as a musician does drugs and can be violent potentially to the point of killing her own parents while on heroin. Later, Bart comes clean about Hettie to Marge, but Homer interrupts the conversation by falling through the roof trying to rescue the dog. 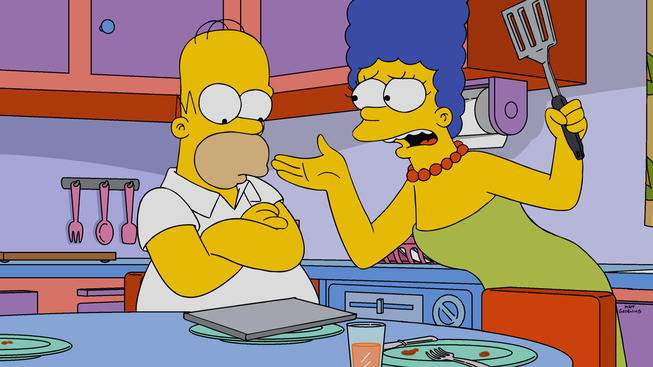 Marge reveals that she has known about the pets being trapped in the walls and all the damage he has been doing to the house the entire time. She has been quietly holding everything together within the household so as to let him feel like he is handy. She also tells Homer about Hettie, but she has gone missing and the concert is in thirty minutes. Homer and Bart manage to find Hettie drinking at Cletus's Farm while Lisa is distracting the concert's audience by playing her saxophone. After a little conversation and almost getting shot in the face, Homer manages to bring Hettie to the concert, but they are too late and the crowd has already gone. 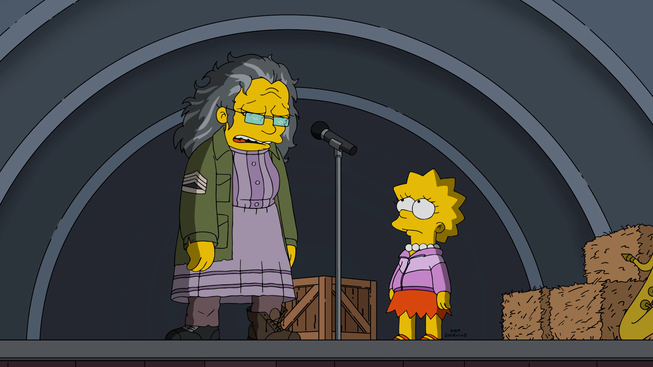 Lisa is heartbroken and promises never to forgive Hettie for letting her down, so Hettie sings one last song dedicated to Lisa. The song is so beautiful and sincere, speaking to the hard life that Hettie has lived and how she feels destined to be kept down by her addictions, that Lisa forgives her and invites her to sleep on their couch. After the credits, Hettie is shown playing in a rehab clinic, only for the interns to escape to Moe's Tavern through a tunnel. Modified on September 12, 2018, at 00:40.